This sweet and spicy Southern classic is the perfect vintage to leisurely sip on the front porch during a warm summer night. Uncork a bottle and transport yourself below the Mason Dixon line. $1 from each bottle sold in October will be donated to the American Cancer Society in making strides against breast cancer in honor of Dr. Maurice Rawlings, one of the real men who wear pink. Juicy, biting, spicy, crisp, slight floral, sweet, full-flavor. An upgraded version of "White Zin", only 10 times better! 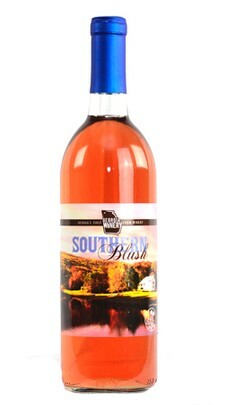 I love sweet blush wines and this did not disappoint! My all time favorite wine! Love this wine, spicy and sweet. Highly recommend. Received this wine as a Christmas present. I must say it is now my favorite wine. So good without being too sweet. Perfect!